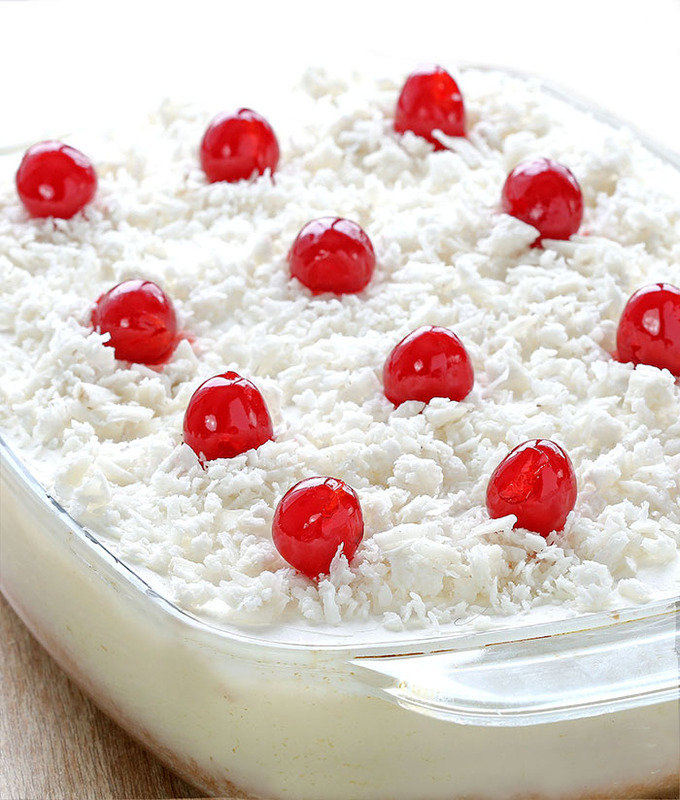 B) Imagine how tasty it is because light and tender cake, filled with a creamy coconut filling, coconut flakes and a maraschino cherries just SING together, right? I promise you, they sing. The hardest part will be deciding who gets a slice with a cherry on top. C) Do you have 10 minutes? Cool. 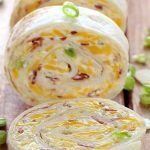 You can make this because this is not fancy. 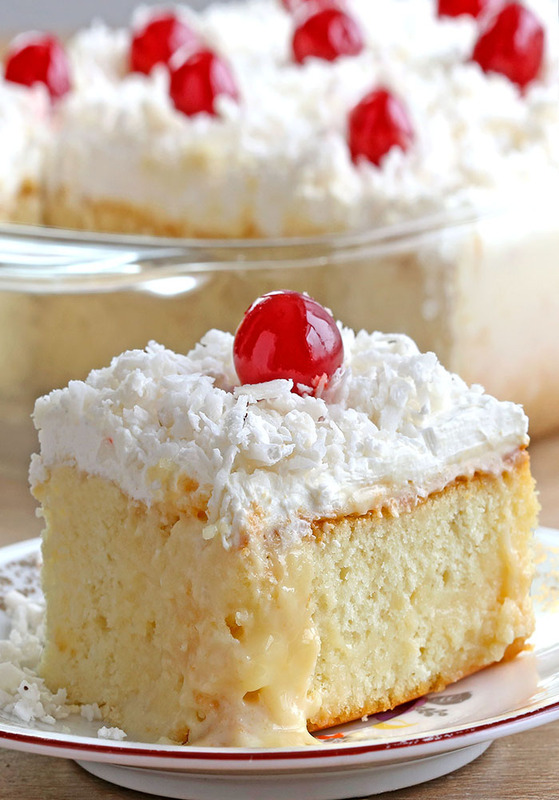 This is just really, really delicious coconut cream poke cake with maraschino cherries. Inspiration can turn up anywhere. For me, almost anything can spark an idea for a recipe, it might be a movie, tv show, a photo in a magazine, heck it might be a conversation. The inspiration for this poke cake actually started out at work. We were discussing our fellow co-worker’s, love/adoration for poke cakes. Seriously, she could win the award for biggest fan of poke cakes….if there was such a thing. 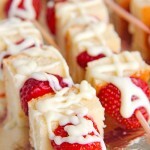 However, I had heard of Poke cake before but I’d never made one. (I mean of course I’d heard of it, I’ve seen it all over the food blogger scene before). But you know what, if you want to make sweetened condensed milk from scratch, I have a recipe for that here ! Spray 9"x13" pan with nonstick baking spray. 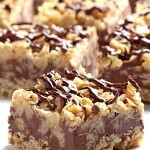 In a large bowl, combine the cake mix, milk, vegetable oil, egg whites, and vanilla. Bake cake according to times on package directions. Poke holes evenly over the cake as soon as it comes out of the oven. 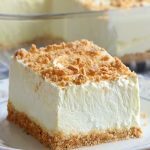 Mix the cream of coconut and sweetened condensed milk. Pour over the top of the still hot cake. 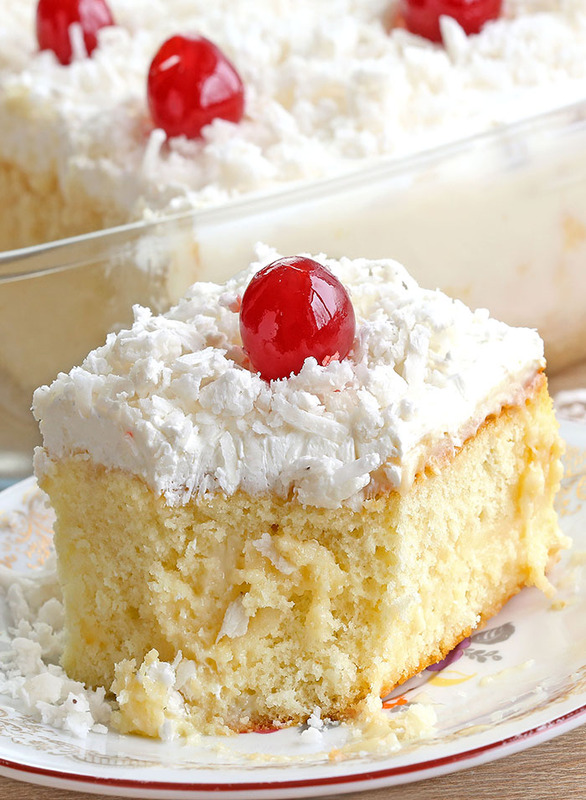 Let cake cool completely then frost with the whipped topping and top with the flaked coconut. Keep cake refrigerated for a few hours before serving to let the cake soak up all of the creamy coconut goodness! This is absolutely delicious! Made it for refreshments at church! What a hit! !